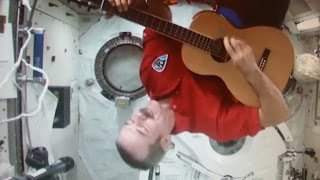 Astronaut Chris Hadfield led a singalong from space Monday, using his last video chat aboard the International Space Station to voice his support for music education. The popular space man -- who tweets and strums his guitar while flying kilometres above the planet's surface -- joined a chorus of students in song before praising the art he said had an "enormous" impact on his life. 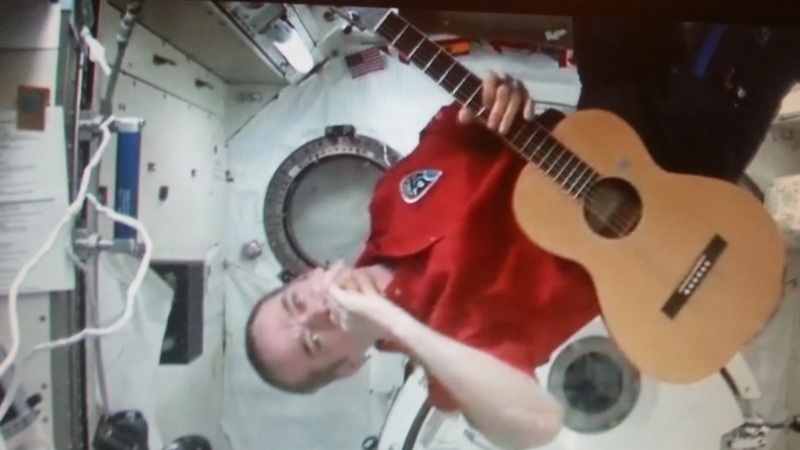 "Music opens doors and music stimulates the brain... It's a wonderful, applicable skill that only makes you a more capable human," he said.